Floral Heart Brushes Pack - Free Photoshop Brushes at Brusheezy! Add a classical romantic element to your work this Valentine's Day season with this new Floral Heart Brushes Pack! With these floral heart brushes, you're sure to raise the level of love in your work. 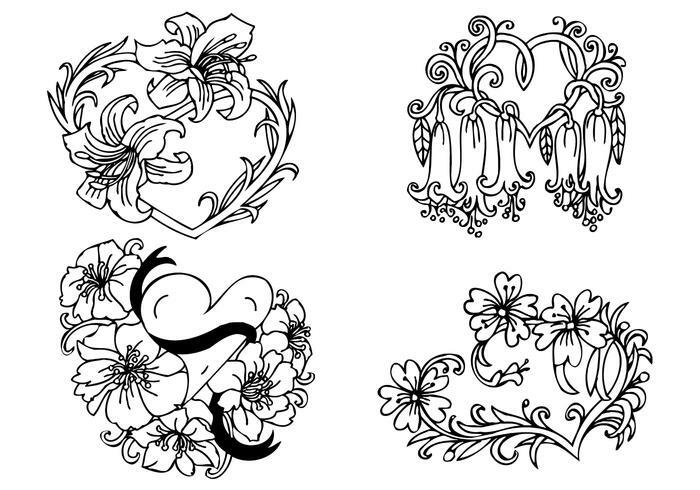 Included in this pack are four different floral heart brushes, decorated with ribbons, lilies, and vining elements. These floral heart brushes would be the perfect addition to your February 14th projects! Rather have the vector pack? Make your way on over to Vecteezy and download the <a href="http://www.vecteezy.com/holiday-seasonal/54633-floral-heart-vector-pack/premium">Floral Heart Vector Pack</a>!